It is the first day of winter, and though the weather has been slightly warmer than usual here, I am still having some trouble adjusting to the cold. It is no wonder that many of the traditional holiday treats involve warming spices to help us feel cozy. Some of my favorites are mulled apple juice with cinnamon, cloves, and ginger and hot teas that have similar spices in them. Warming spices can also stimulate our digestion to help us with heavy holiday meals. Cinnamon, cloves, or ginger can help ease discomfort associated with indigestion. Cinnamon is a favorite herb of mine because of its diverse benefits. It is antimicrobial and breaks up mucus making it useful for colds, flus and cough. It is also astringent and can help slow down bleeding, such as with heavy menstrual periods. It can also help reduce blood sugar. Many people look for the true cinnamon that goes by the Latin name Cinnamomum zelanicum, but in this case the more common Cinnamomum cassia is a better choice, according to a study. Many cooks also prefer the cassia cinnamon for its more robust flavor. I have personally found cinnamon to be a little bit stimulating. Once I drank so much of a spicy tea that contained cinnamon that I had insomnia. When I backed off, my sleep normalized. Ginger is another powerhouse herb that has many uses beyond making gingersnaps. 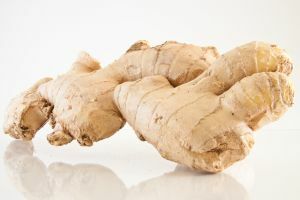 It addition to the digestive benefits I already mentioned, ginger is a very popular herb for nausea and motion sickness. Ginger is also a great inflammation fighter that can be considered for nearly any inflammatory issue from colds to arthritis. Ginger has antimicrobial benefits that make it further useful as part of protocol for upper respiratory infections. Ginger is also one of the many foods that help reduce the formation of new blood vessels by cancerous tumors. Without increased blood supply from new blood vessels, cancers cannot grow as quickly. Finally, ginger can help protect blood vessels, kidneys, and the liver. I hope I have given you plenty of reasons to add these tasty herbs to your winter recipes or enjoy them as teas to help you stay warm and healthy. This entry was posted in Health and tagged anti-inflammatory herbs, antimicrobial herbs, blood sugar, colds, digestive health, upper respiratory infections. Bookmark the permalink.